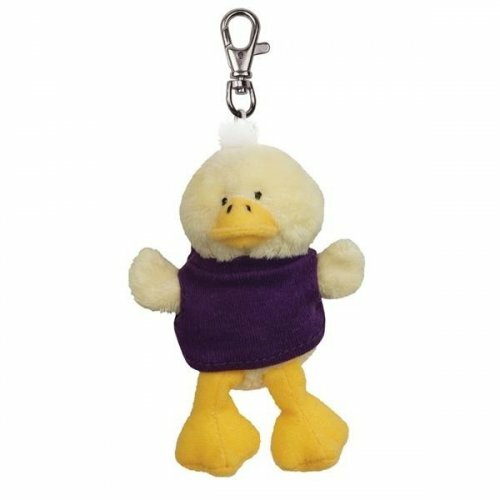 Personalized soft duck key tags are emotional, adorable and purposeful promotional gifts, you have ever seen. Do you know why? Because they help people to remember their childhood days playing with favorite rubber ducky in their bathtubs. Great for gifting in all seasons because people never grow out of their enchantment for ducks. This cute soft duck key tag makes a great tradeshow giveaway because we offer exciting discounts on wholesale orders. Avail this CPSIA compliant plush key tag with embroidered eyes and lobster clasp in best buy pricing by bulk ordering. Save on online design proof. Dress your logo in style. Request a quote to know discounts that you can avail for these custom soft duck key tags.